Clouds – Displays your tags, categories, and/or minisite primary taxonomy items in a tag cloud format. Latest Articles – Displays your latest articles from a specific minisite, all minisites, or all articles. 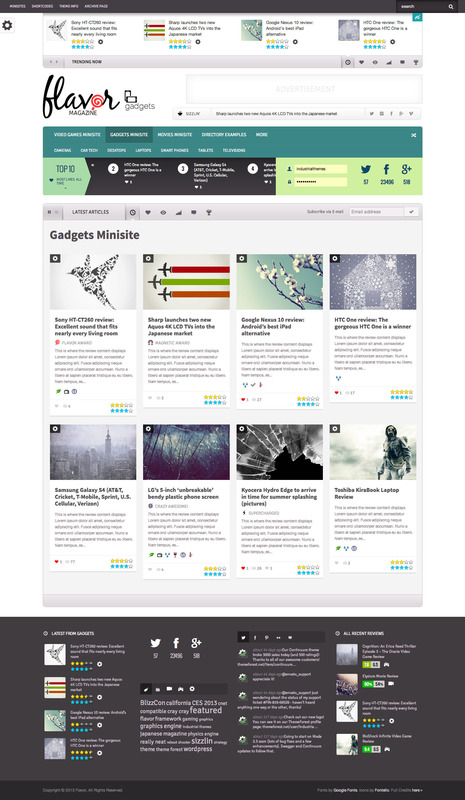 Minisite Articles (Tabbed) – Displays the latest articles from selected minisites in tabbed format using the minisite icons as the tab navigation. Social Counts – Displays social counts for the most popular social networks. 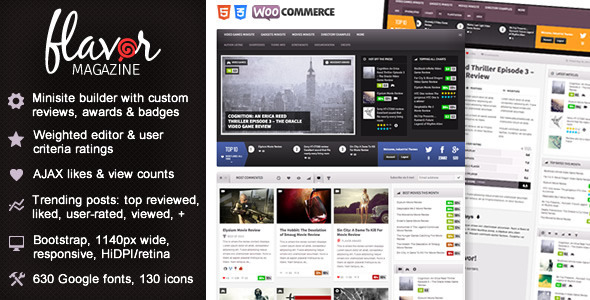 Top 10 – Widget version of the Top 10 carousel. 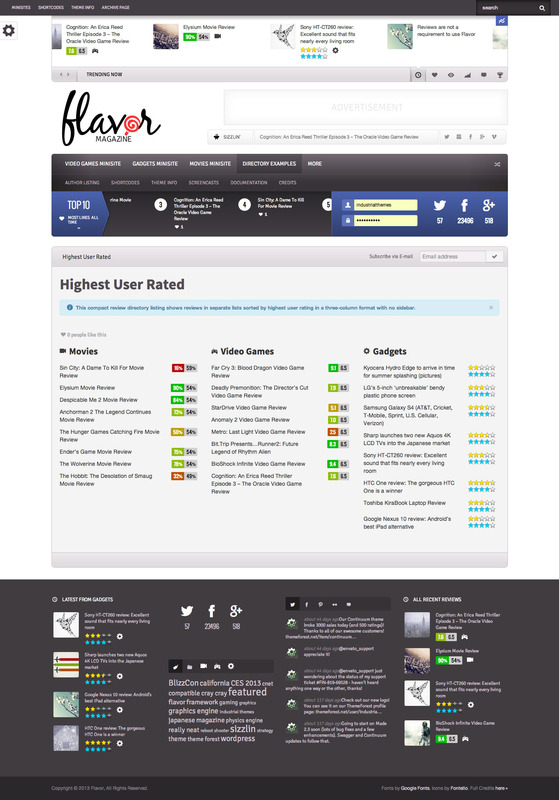 Top Reviewed – Displays top reviewed articles from a designated recent time period for a specific minisite or all minisites together. Trending Articles – Displays articles with several available filtering options. The images used in the live preview were purchased for use in the demo and are not included in the download file. In addition, the demo XML file does not contain them but rather placeholders so that you can replace them with images that you own the rights to use. If you have any questions, please let us know via the support center.